The Quantums are extremely easy, efficient and all-around wave boards with single fin-like mobility and liveliness. 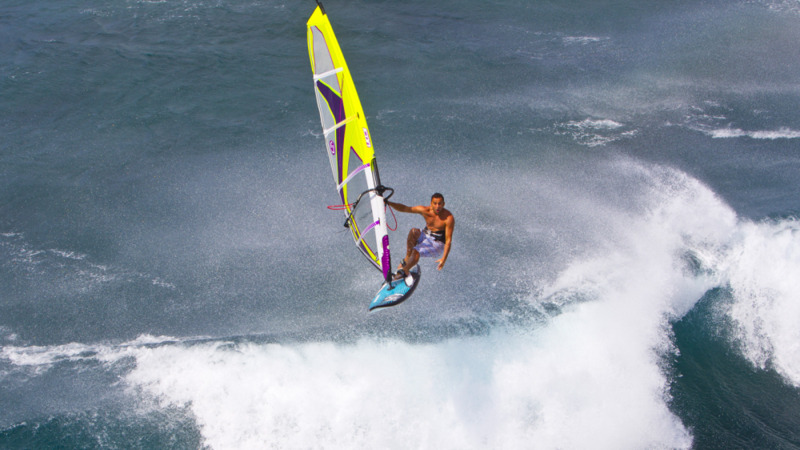 Loose enough to be quickly whipped around in small waves, fast enough to enable big jumps in any conditions and controllable enough to keep delivering when the wind and the waves get serious. 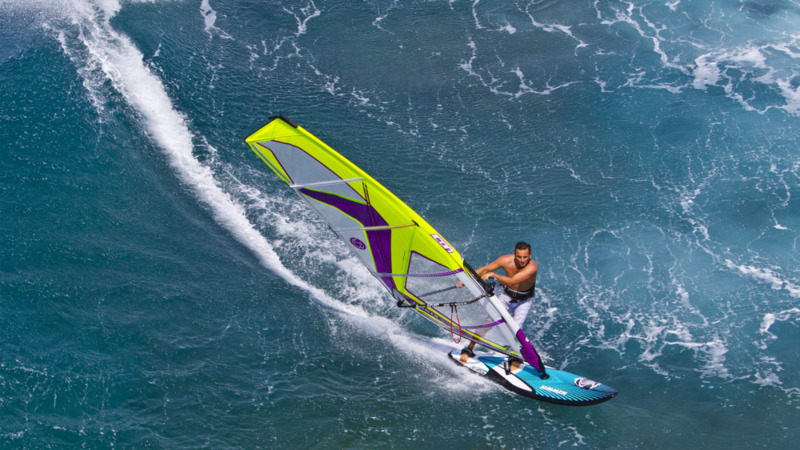 The extra width is a shortcut to better wave sailing for the progressing wave sailor, but will also let the expert generate more power and speed from smaller or slower waves. 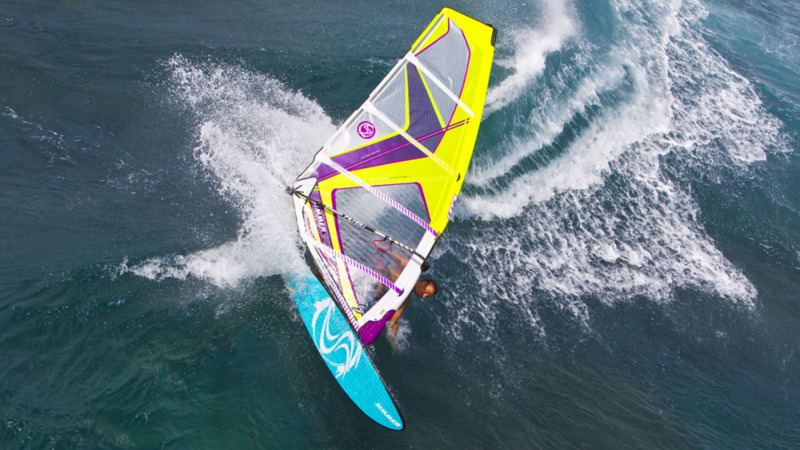 Even in small sizes, the Quantums will carry big sails and still stay loose and efficient which means you will not need an extra board to cover your light wind needs. 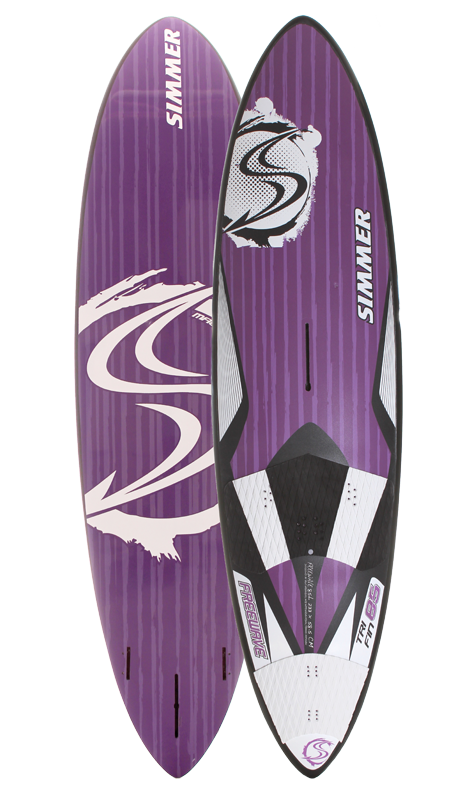 The Quantum comes with Simmer Mission front fins and a set of Black Tip rear fins, designed to complement the ultra efficient hull shape and offer loose and vertical turning. For an even looser feel you can try the optional Mission rear fins or use the board as a twin fin. 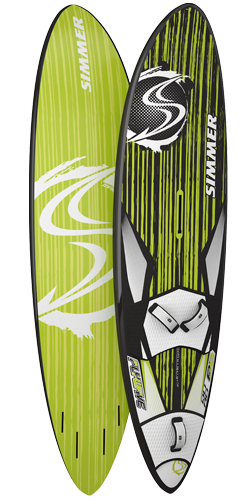 For off the charts mobility and bottom turn drive you can use the Icon rear fin set. - Medium rocker design, with curvature optimized for performance over a big speed register. 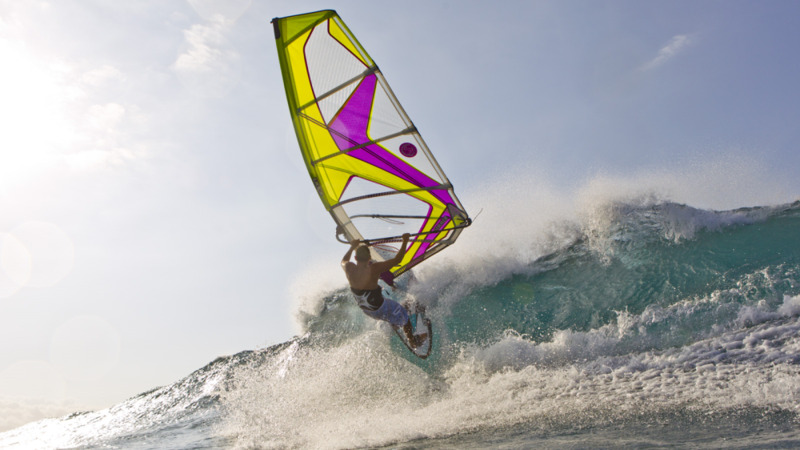 - Wider outlines and tails to carry bigger sails and allow powerful wave riding in a big variety of waves. - Straps further back and shorter lengths to make the boards snappier. 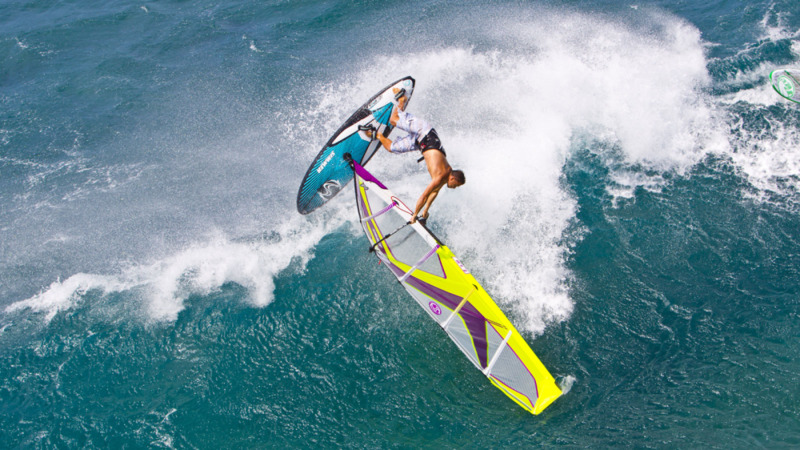 - Less tuck to the rails and a sharper release for better performance in lighter winds. 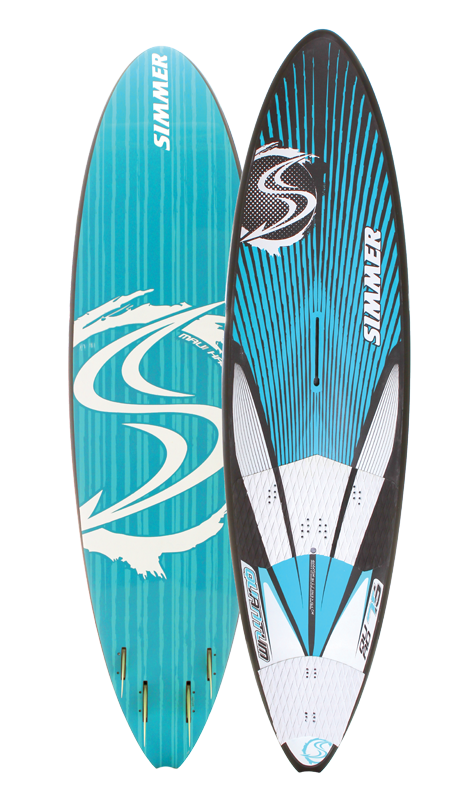 - Shallow single concave for low drag, a sharp and lively feel and single fin-like drive. - Double concaves inside the single, with apex close to rail for increased grip. 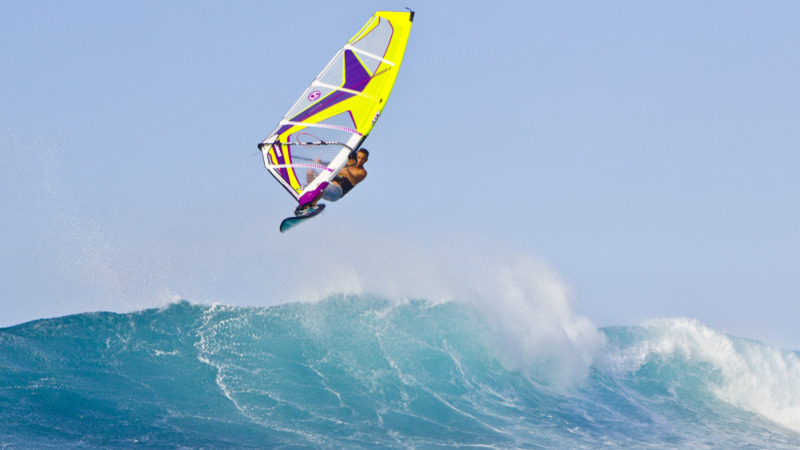 - Shape optimized to work with a wide variety of quad and twin fin styles and setups. - Awesome tuneability and adaptability.